Since 2015, Paramount Real Estate Services has sponsored the Awesome 3000 video contest where students from our local high schools have competed to produce the promotional video for Salem Keizer Education Foundation’s annual Awesome 3000 event. We have some talented students and the future is bright! Check out their videos! The signature event is one of the largest timed youth runs in the nation. 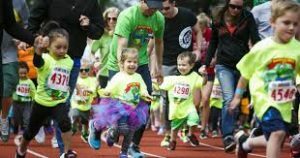 Every year thousands of fans fill Willamette University’s McCulloch Stadium to cheer on over 3000 runners as they circle the stadium and head to the finish line. Kids are rewarded with t-shirts, medals, new books and high fives. 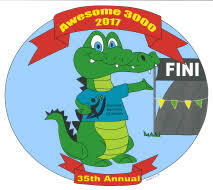 Organized by nearly 600 community volunteers, the Awesome 3000 has been inspiring healthy lifestyles for over 35 years! South Salem High School Students Issac Sheets, Chloe Bryant and Emma Wiseman wowed us with their video skills and won the Awesome 3000 video contest in 2017! Check out their amazing video of the event.